Located only a short drive or train journey away from Helsinki and the airport, the municipality of Kirkkonummi will charm you with its gorgeous landscapes and offer you a breath of fresh Finnish air. To experience the bliss of Finnish nature, you do not have to travel further than a half an hour away from the capital, Helsinki. Often called ‘Finland in miniature’ due to offering unique exploration opportunities of both the gorgeous coast and the inland lakes, it is no wonder that the area of Kirkkonummi has been favoured and made home by world-renowned Finnish personalities such as ice-hockey legend Teemu Selänne, F1 world champion Kimi Räikkönen and designer Eero Aarnio. 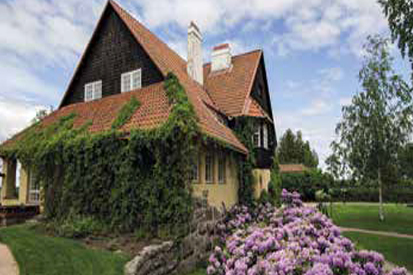 While offering treats for history and design buffs, such as the iconic Art Nouveau villa Hvitträsk, it is the nature of Kirkkonummi that truly takes your breath away. Some locations in particular are unmissable on your next trip to Finland, whether it is for a peaceful camping holiday, an adventure odyssey or a day trip to the wilderness to take you away from the everyday hustle. The gorgeous views of the Baltic Sea are all within reach at Kirkkonummi and its archipelago. Enjoy the mighty view of the Finnish national landscape from the tip of the Porkkalanniemi Cape, a popular visitor destination all year-round. The coastal outdoor recreation areas are also ideal for biking, swimming, boating, paddling and fishing, or simply taking a day or two to enjoy the magnificent nature and scenery. There are great opportunities for camping as well. 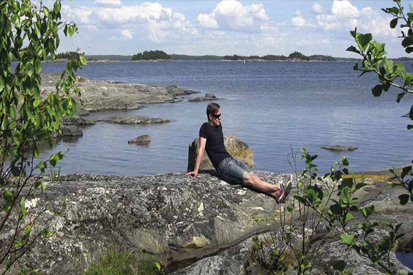 But how about exploring Kirkkonummi on your own boat? This is also a great option, as there are plenty of moorings for boats in charming locations. Just listen to the waves, refresh and recharge. Whether you are an independent traveller or in a group, Kirkkonummi has no shortage of activities and experiences for explorers. The winding country roads in the rural areas are ideal for cycling, and there are also cycle paths in the vicinity of the urban areas too. An exciting new destination is the Porkkala Wreck Park, a unique dive site for dozens of 16th to 19th century historic wrecks. With the Porkkala peninsula reaching towards the southern shore of the Gulf of Finland and Estonia like no other place in Finland, the waters around the area have always been of significant strategic value and a route for many merchant vessels. To this day, there are dozens of historical wrecks in the small area, making it a once-in-a-lifetime destination for recreational divers. Or how about a day watching birds? There is no lack of opportunities for this either. 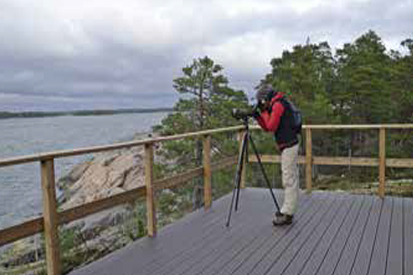 Porkkala is one of the best bird-watching locations in Finland, especially for following the migration of arctic birds. The area is also home to a thriving population of seabirds. What would a visit to Finland be without enjoying its forests and thousands of lakes? You can get all of this when you travel from the coast of Kirkkonummi to its inland areas. The northern parts of Kirkkonummi give you access to some of the most breathtaking views of Finland’s lake district and the wilderness of its forests. It is hard to believe that all these lakes, hilly and rugged forests and traditional farmlands exist such a short trip away from Helsinki. One of the most beautiful conservation areas is Meiko, where you can admire lakes and ponds and enjoy the atmosphere of the wilderness. When you travel further north, you will also find Nuuksio National Park, as well as plenty of other forested areas with opportunities for outdoor recreation. Whether travelling by car, motorbike or bike, the country roads will lead you to an unforgettable summertime road trip. Along the historical passageways you can see old manors and villages, which during the summertime host a selection of fascinating local boutiques, exhibitions and artisan workshops. There are also plenty of accommodation options to choose from, whether you are looking for a hotel, cottage or apartment – or planning to camp outside in the fresh Finnish air. With Kirkkonummi as your travel destination, you can get everything at once.